Ever wonder who is creating those tasty recipes we keep adding using our all-natural line of olives, peppers, capers and sun-dried tomatoes? 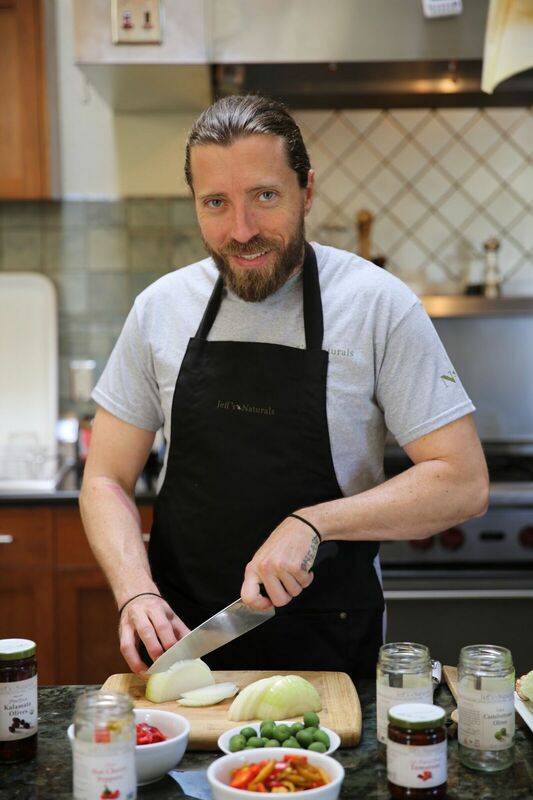 Meet our Recipe & Development Chef, Peter Kirkpatrick (known around here as PK). 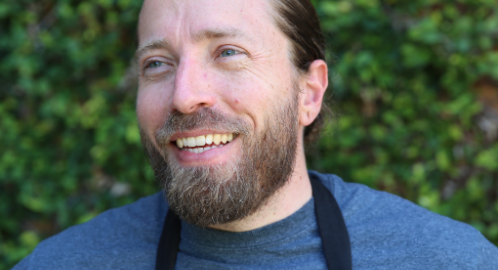 PK is originally from Gainesville, FL where he cooked at various restaurants for a decade before heading to California to expand his knowledge of food and cuisines of the world at the Culinary Institute of America in St Helena, CA. where he earned an Associate degree in Culinary Arts. After completing culinary school, PK took an internship in Napa Valley’s Hartwell Vineyards to learn about winemaking process. He soon landed a job at Del Dotto vineyards under the direction of Chef Joshua Schwartz. PK says that his cooking and winemaking experience in Napa Valley has influenced the type of products and dishes that he develops in our test kitchen. We sat down with PK not long ago to learn more about him. JN: What is your personal favorite Jeff’s Naturals product(s) and how do you serve them? JN: How long have you been cooking with the company? What did you do before this? JN: What is your favorite dish you prepare for yourself at home? JN: Of all the Jeff’s Naturals recipes, which one would you recommend to a beginner? JN: Do you have a favorite recipe on our site?